Hello! 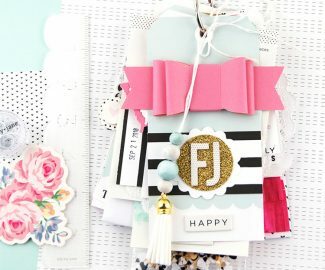 Lorilei here today sharing a layout I made using the fresh and pretty Jaimee collection! 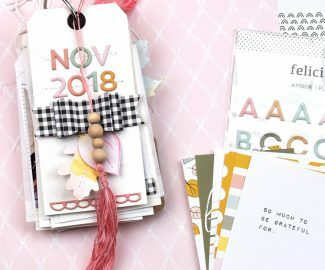 Once I had opened the die cut pack I knew I had to make something with the Create die cut! 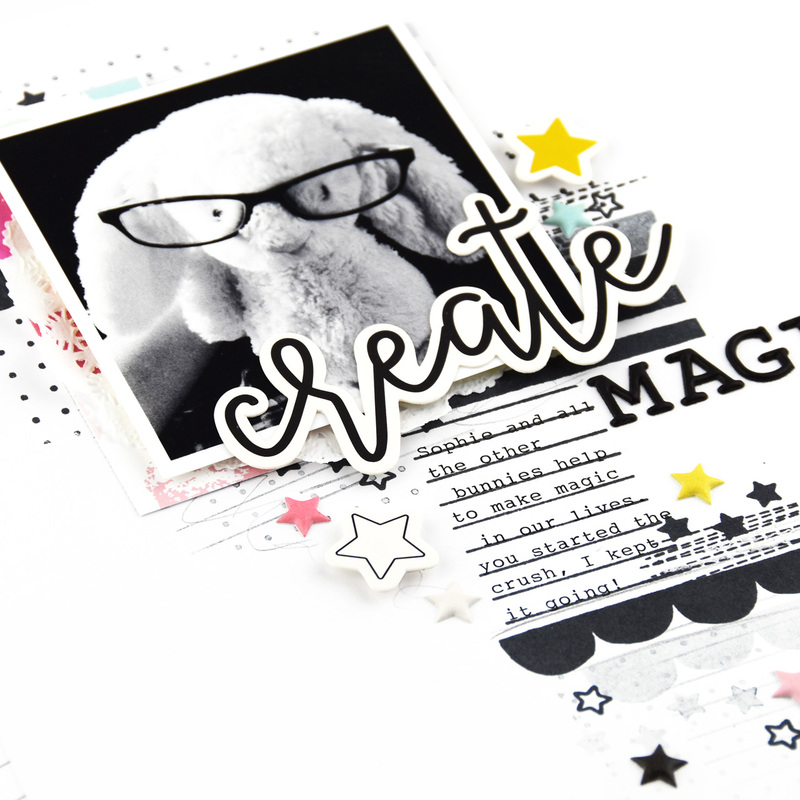 I started out by positioning my photo and then I got out the Jaimee stamp set! I stamped a messy pattern under the where the photo would be and then added the journaling lines stamp underneath with some more messy stamping. The stitch stamp has got to be my favorite! It adds such a cool element to a page! Once my stamping was complete I ran the page through my typewriter and added journaling to the stamped lines. I added a few more stamped stars, the stamp set has a row of 4 filled in stars and one single outlined star, they are super cute and so versatile! As I was going through the collection I realized how many star goodies there were and that sealed the deal for me for a theme for my page! Next up I added some paper and a doily to my photo and popped it up on foam for dimension and adhered it to my page. 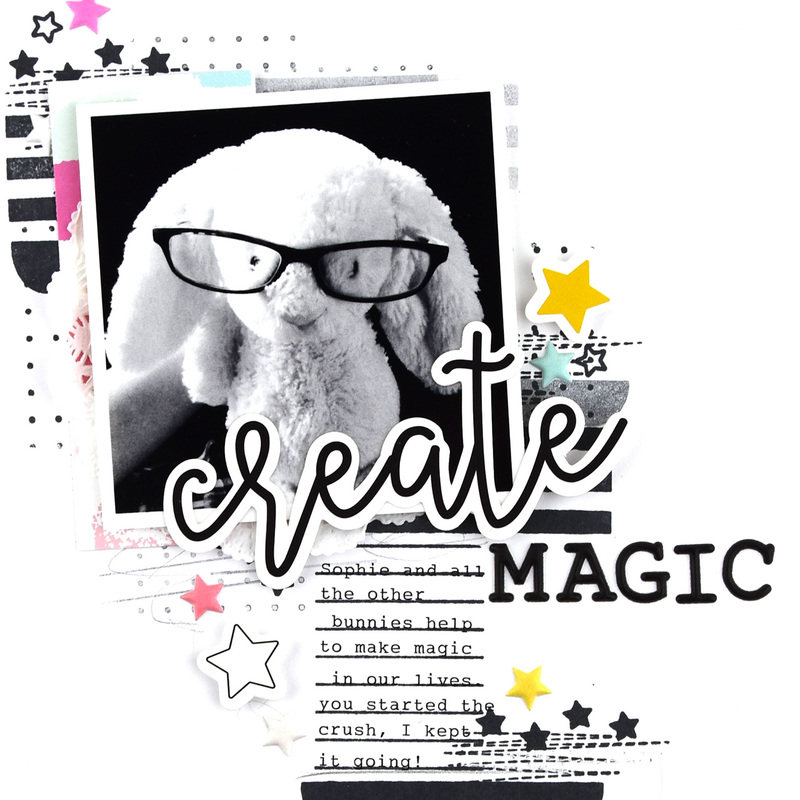 I added the create die cut over the photo and finished the title with the Jaimee black puffy alpha for the word magic. 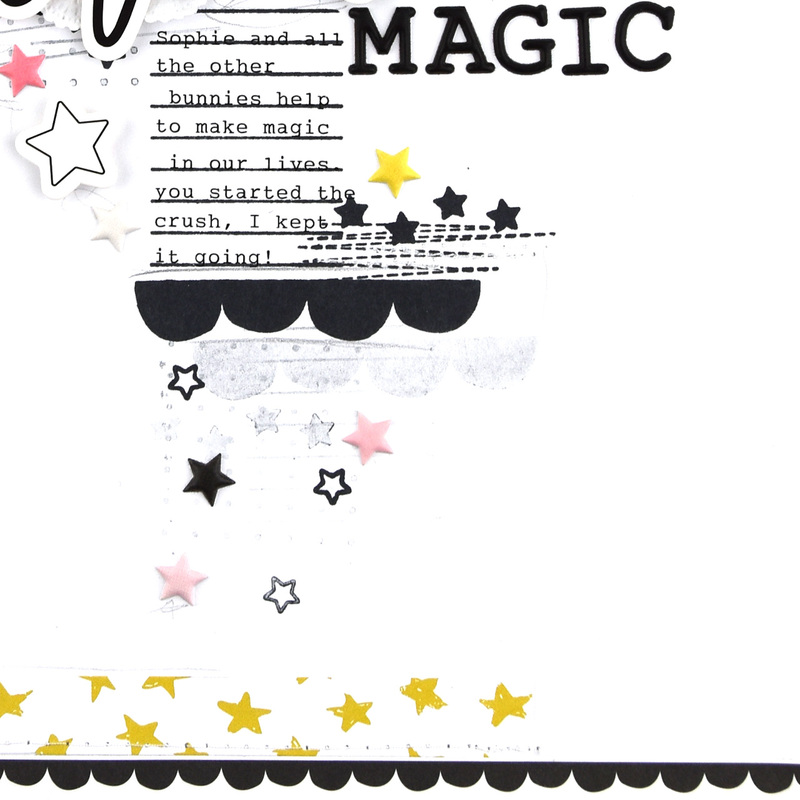 I cut a small strip of the yellow star paper and added it to the bottom of the page and then started sprinkling die cut stars and puffy stars around the page. It was handy to have the star stamp to fill in any spaces to make the design feel complete! Thank you for joining me today! I find choosing a theme a great way to get started on a layout. It really helps to focus your choices when everything in the kit is so gorgeous!! Such a wonderfully done layout!